Of pies y stolen bikes. Well, the other day I was struck by hormones like a fastball from a pro baseball pitcher. I obliged to my rather rare dessert craving and decided to stop at Mission Pie after work to stuff my face with a slice of I’msogonnaeatthiswholethingrightnow. Anyways, as I was leaving I spotted out of the corner of my eye a bikeshare bike. AH! have yet to see one up close I thought. Immediately noticing something was not right. It wasn’t the bike that completely gave it away –half covered with a mix of toilet paper and bubblewrap– but the two people walking it, they could hardly finish getting themselves across the sidewalk. Luckily I had an almost full-charged bat phone. I gave it a second thought about taking a picture, but then I went for it. This took me .25 seconds to decide. These two could HARDLY stand-up straight, nevermind walk. The person in orange with long blond hair almost fell twice sideways but kept his/her hands on the bike grips. I recall learning that Mission Police Station had a team dedicated to the huge bike-theft problem that the city faces, and that they were on Twitter. I was aware of this thanks to our very own local bike-theft ninja Jenny Oh. So, I tweeted this photo minutes after spotting the bike on 25th that evening, a couple of days after and few twitter threads later, the bike was back with Bay Area Bike Share. Alright, so I was very glad to have contributed my 2 pesos glad to help out & that it worked out. 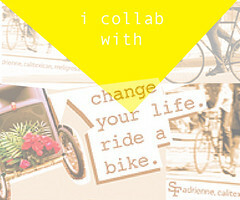 It has numerous times being proven that great things happen when you mix the Bay Area bike community with social media + word of mouth: pulling positive forces is awesome. Hope our community continues to communicate & work together to fight bike theft. 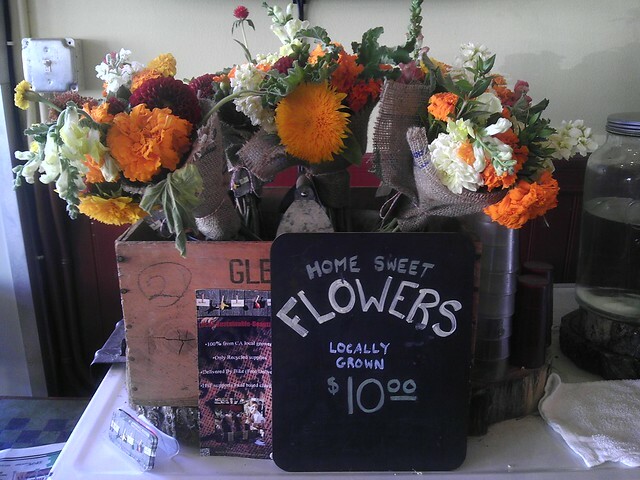 And speaking of hormones, here is a pretty picture of flowers from the delicious Mission Pie. This stolen-bikesighting foto was tweeted on the 4th of September. 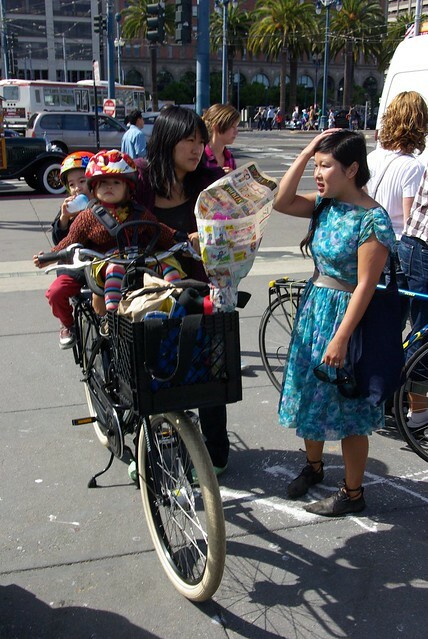 Calitexican’s JOANIE BABY: raleigh mixte stolen from the Lower Haight last night. Red Raleigh small frame (approx. a 49-51) with basket +Brooks saddle. Spread the word, keep eyes peeled! h/t JenniferG via Dave Moulton’s blog. Same garage from the blue trek1000, now a foldable cute blue tricycle. 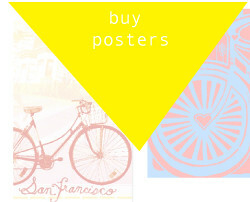 Reminder, a helpful public google group: STOLEN BICYCLES BAY AREA created by Jenny Oh. 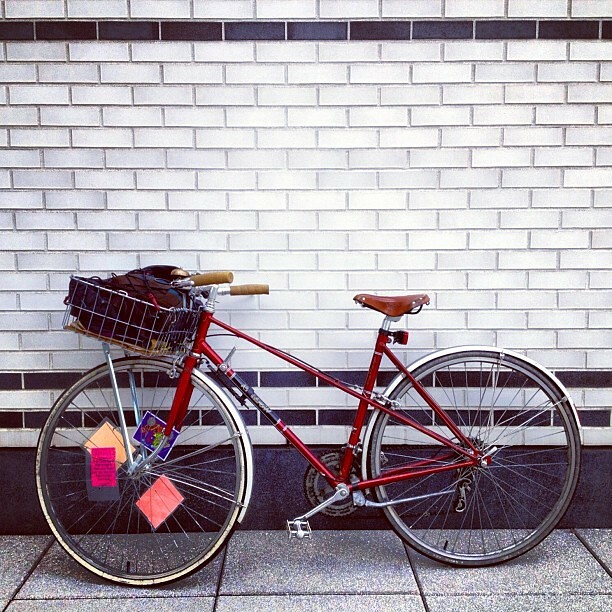 Posting of fotos y helpful prevention tips +what to do/steps to take after a bike is stolen. via Ramona // A very dark green (looks black) bikefriday New World Tourist belonging to Amy Lee Solomon was stolen from in front of SFMOMA today. If see it please help recover. 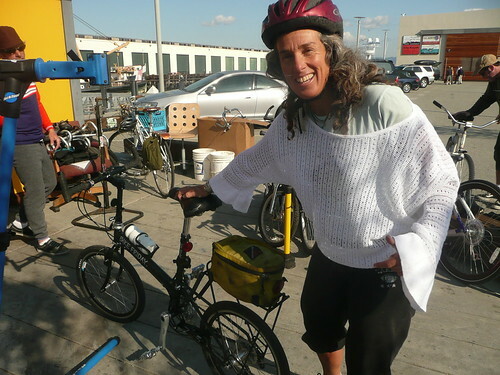 Liza’s Kronan // was stolen from her backyard in West Berkeley, (CA) this afternoon (11/08/12) around 2:30PM. It’s a Swedish Military model and should be pretty distinct, especially if the leather panniers are still attached. Please keep an eye out and share with your friends.